Have you ever wanted to connect with a deceased loved one? Or maybe you’ve wondered if your family members, who are now in spirit, are with you and trying to get your attention? It is important to note when connecting with deceased people, that they carry the vibrations of their physical life with them into the spirit world until specifically addressed and remedied. A person who was often angry and irritable when they were alive, or who died from an illness, will have this energy within their vibrational energy signature until it is healed during their time in spirit. This doesn’t mean you shouldn’t be aware of their presence, or listen to the messages they have for you, but it does mean you need to set boundaries. Don’t let the spirits of deceased ones into your energy field (as is safe with guides and angels of of light) as this can actually lower your vibration, and it is possible for you to take on density from lower vibrational beings in this manner. There are also spirits who were once physical beings, but who died while still attached to people, possessions, who were afraid… Or for some other reason did not cross over into the light. 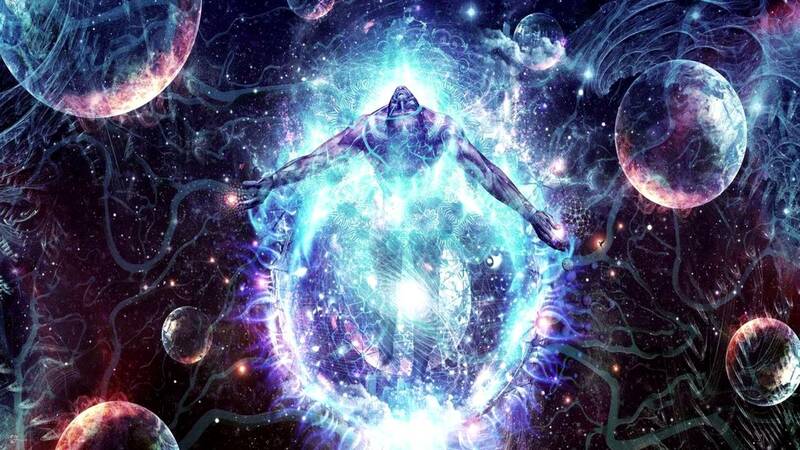 When this happens, they exist between the physical and spiritual realm, and their very presence is dense, and can drain your energy or make you feel uncomfortable because they haven’t reconnected with the Divine light. 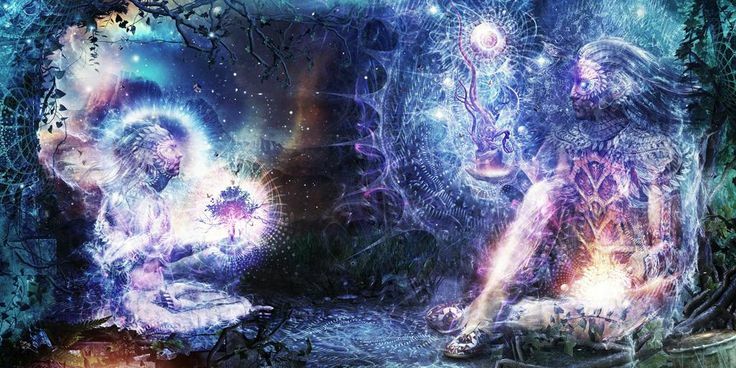 These earthbound spirits are getting energy from the physical realm by consciously or unconsciously draining the living, instead of directly linking with Source. A simple solution for earthbound spirits, ghosts, or attachments who are looking to get energy from you instead of Source, (or in the case of a loved one who needs help crossing over) is to call upon Archangel Michael for protection, and Archangel Azrael, and Jesus to help cross them over into the light. Call in the angels, and speak directly to the earthbound spirit, saying “look up, and release into the light”. With that being covered, your ancestors and loved ones in spirit, may reach out to make contact with you. Spirits do this because they want to check in, let you know that you’re loved, and that they’re safe and well. At times your deceased loved ones have pertinent guidance they can offer you, to help you overcome challenges, and progress forward on your personal life journey. If you do sense, or feel your loved ones may be reaching out and trying to get your attention, it is likely for a reason, as making contact in this way takes a great deal of energy and focus on their part. Signs from spirits are most often subtle. Since your loved one is now 100% in the spiritual realm, they have no need for language (a tool for the 3D plane) and so their messages may be conveyed energetically, via a feeling, impression, sign, image… Or there may be a telepathic message for you. Here are the four the most common signs from spirits. The dreamspace is one of the most common ways for spirits to make contact. When you’re dreaming, you’re naturally more open to the spiritual realms, so it’s easier for your loved ones to reach you, connect, and interact. Pay attention to the additional symbols, themes, and emotions present in your dream to get an idea of the message your loved one is attempting to convey. I have been contacted by my grandparents several times through dreams, each time I woke up feeling excited, and inspired by the loving, and meaningful dream time connection. Spirits are able to send all kinds of signs, some more obvious than others, to alert us to their presence. Have you been seeing your grandmothers favorite flower everywhere, or perhaps a number or symbol which reminds you of your loved one? This very well may be them alerting you to their presence. Animals, birds, or butterflies acting strangely, or appearing at a significant time can also be a sign from spirit. Spirits can trigger the phone to ring (and no one is there), or they may cause radios, TV’s and lights to turn on, off, or to flicker without any other explanation. Your TV mysteriously turning off is one thing, but combine that with a strong feeling that your loved one is near, is a great indication this is a sign from spirit. My grandmother loves this method of making contact, and many spirits do. Your psychic and intuitive senses are by themselves, and combined with any of the above signs, a wonderful way to experience the presence of spirit and to validate the signs you’re experiencing. Seeing your mothers favorite number is one thing, but sensing and knowing she is with you as you do is that extra validation so you can know what you’re experiencing is real. Smell is an especially common way for spirits to alert us to their presence, and one I’ve experienced many times. Once I remember catching the scent of my grandfathers cologne as I received a mental impression and feeling of his support and approval… Did your loved one smoke, and you keep smelling smoke without being able to identify the source? Scent is often used by spirits as a way to remind us they love us, and that their spirit lives on. These are the top signs from spirit which I have received, but your loved ones may reach out to contact you in another way also. With present moment awareness, and by paying attention to your subtle senses, you will be able to affirm and validate whether what you’re experiencing is indeed a sign from spirit or a sign your deceased loved ones are around.